What I'm not fine with, is once you decide that you no longer want your work account on a device, you can't get rid of the requirement for the PIN, like how I'm re-purposing an old SurfaceRT (yes, I pre-ordered a Surface2!) to be a digital music player / weather station / morning news station / upstairs Skype phone, in the bedroom, I don't have *anything* on it that would need a PIN, and the likely hood of the tablet leaving the bedroom aside from when I move houses, is extremely small. Searching around turned up nothing, asking around (especially @Microsoft) usually turns up something. 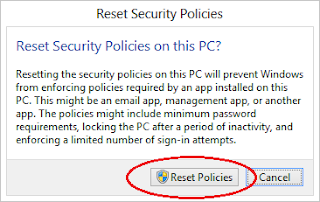 And this time it turned up this super handy How do I Turn Off the AutoLock in Windows 8 article. And here I was searching around in gpedit.msc or regedit, and it's right there in the Control Panel UI! That's all there is to it. Now you can go into PC Settings and set the password policy to never required! 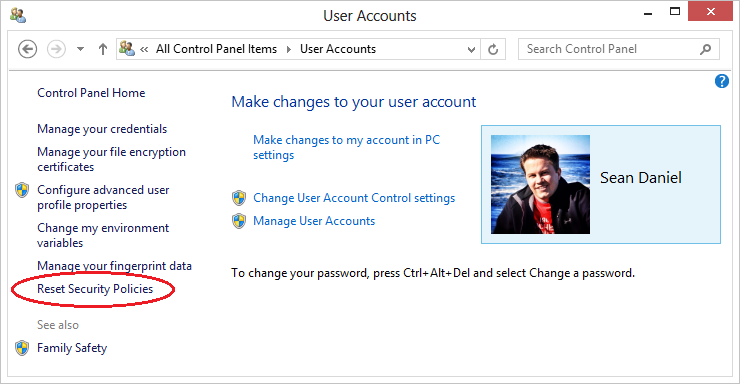 This also allows you to change the default screensaver time out as well. There you have it. It took me a lot of effort to find that, so I'm sharing it here (so I don't forget as well). And now I don't have to factory reset my SurfaceRT! w00t! This is a great find! Im not that techy person and im having hard time to figure this out. Thanks this was really helpful. Been looking for a way to do this, much appreciated. Does not work on Surface R/T. I admire the valuable information you offer in all your articles. We are impressed by your clear description of your topic. Thanks for the information. This is good to know! I encountered this several times in the past and always needed to bring to the technician. Hello everyone, was interesting to read your article. Usually i'm reading New York Times , but now i will read you too!